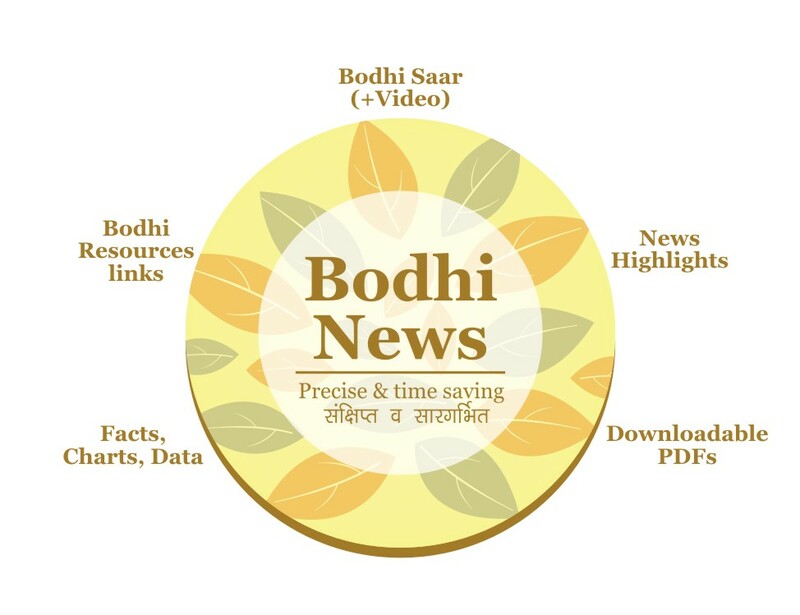 Bodhi News & Analysis - German economic success | China's second Aircraft Carrier | Gwadar story - 28 Apr. 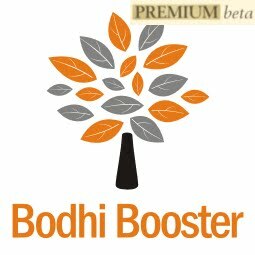 Welcome to Bodhi News for 28 April, 2017 - from Bodhi Booster knowledge portal! 1. Defence and military – Amid rising tension with North Korea, the US as a part of its test of nuclear weapons, launched an unarmed Minuteman 3 intercontinental ballistic missile (ICBM) from California. The launch was an important demonstration of US nuclear deterrent capability. America and Russia have the world’s largest nuclear arsenals, and the annual defence spend of US is more than the next 8 nations combined. Read all about military expenditures and defence analyses, using the link given here. 2. World politics – The White House unveiled a proposal that would cut the top tax rate for corporations as well as other entities to 15 percent. Critics say that tax cut could prove to be a windfall for the Trump Organization. President Trump has refused to release his tax returns, making it impossible to know how much his businesses could save on taxes. Indian corporate would be wondering when such a windfall will come their way J Read all about Donald Trump and his policies on Bodhi Booster portal, here. 3. Indian politics – The BJP wrested power for the third term in succession in Delhi’s MCD elections with a huge mandate in all the three corporations with a total 181 seats out of 270. On the other hand, a party (AAP) which won 67 seats in the Delhi assembly elections with more than 50% vote share just about 26 months back has been rejected by people. In 2012 the Municipal Corporation of Delhi was 'trifurcated' – the North Delhi Municipal Corporation (104 wards), the South Delhi Municipal Corporation (104 wards) and the East Delhi Municipal Corporation (64 wards). Read more on Indian Politics on Bodhi Saar here. 4. Infrastructure – The first regional flight under the Ude Desh ka Aam Nagrik (UDAN) scheme took off from Shimla to Delhi, flagged off by the Prime Minister. The regional connectivity scheme is intended to connect small towns by air. Airfare for a 1-hour journey of appx. 500 km on a fixed wing aircraft or for 30 minute journey on a helicopter would be capped at Rs. 2,500. The UDAN Scheme is a key component of the National Civil Aviation Policy (NCAP) which was released by the Ministry of Civil Aviation on June 15, 2016. Read more on UDAN scheme here. 5. Society and culture – India was placed at a poor 143rd rank in an annual index of economic freedom by a top American think-tank. India fell behind several of its South Asian neighbours including Pakistan. The think-tank observed that the progress on market-oriented reforms has been uneven. The conservative political think-tank put India in the category of “mostly unfree economies”. Download PDFs on this topic from Bodhi Resources page - here. 6. Indian economy – The Central government categorically ruled out taxing of agricultural income. Earlier, NITI Aayog member Bibek Debroy suggested that farm income should be brought under the tax net. Finance Minister Arun Jaitley said that the central government has no jurisdiction to impose tax on agricultural income according to constitutional allocation of powers. The NITI Aayog has also distanced itself from its member Bibek Debroy’s comment. Read our Bodhi Saar special on NITI Aayog, here. 7. Science and technology – Uber announced that it will begin testing “flying cars” within the next three years. The flying vehicles would be of the VTOL variety which means that they would be aerial vehicles that take off and land vertically. 8. Terrorism – Following the ghastly Maoist attack in Sukma, Chhattisgarh that claimed the lives of 26 CRPF men, the Central government has asked the security forces to focus counter-offensive operations on ‘high value targets’, which include South Bastar divisional commander Raghu, Papa Rao, head of Jagargunda area committee and Hidma, who are said to be behind the latest attack. Do check our comprehensive Bodhi Saar on Naxalism. Do check our Bodhi Saar special on Naxalism here. 9. Indian politics – Things do not seem to be going right for the Aam Admi Party (AAP) and its convener and Delhi Chief Minister Arvind Kejriwal. After the huge drubbing in the MCD elections, it again faces a political test in May this year. The Election Commission is likely to spell out its stand on the petition seeking disqualification of 21 AAP MLAs for having violated laws. If these MLAs are disqualified, there would be by-elections in Delhi soon. 10. Constitution and law – The Supreme Court came down heavily on chief secretaries of 10 states for not implementing the Food Security Act (FSA). The apex court had issued summons against them in the last hearing asking them to be present during the next hearing. These states include Madhya Pradesh, Chhattisgarh, Andhra Pradesh, Maharashtra, Bihar, Gujarat, Haryana, Telangana, Jharkhand and Karnataka. 11. Indian economy – RBI Governor Urjit Patel said that the Indian banking system would be better off if some public sector banks are consolidated to ultimately have small but healthier banks. According to Dr. Patel, this would also help in better management of stressed assets (NPAs). He further said that there were the co-operative banks and micro-finance companies to take care of community-level banking, some of the public sector banks could be merged. Indian banking is screaming for an immediate resolution of NPA problem, but its sticky political nature is perhaps preventing a big-bang solution, despite repeated landslide victories for PM Modi and BJP. For detailed reading, go through various Bodhi Saars on NPAs, here. 12. Constitution and law – The Central Bureau of Investigation (CBI) filed an FIR against its former Director Ranjit Sinha to investigate the allegations that he influenced investigations into the massive coal scam when he was the head of the investigating agency. The Supreme Court had ordered the CBI to constitute a special investigation team (SIT) to look into the allegations against the former CBI Director. Sinha is the second Director to be probed by CBI, after AP Singh, who was charge-sheeted for corruption charges along with meat exporter Moin Qureshi. Read more stories and analysis on corruption and transparency, on Bodhi Booster portal, here. 13. World politics – Soon after North Korea showed off its military power (using live artillery), South Korea announced that key parts of a contentious US-built Terminal High-Altitude Area Defence system THAAD) had been installed. North Korea conducted live-fire artillery drills on the 85th anniversary of Korean People’s Army. Kim Jong-un seems determined to not let America have its way. China is quietly working behind the scenes to cool the issue, as it hurts its interests the most. Read useful analysis and material on Korean problem, using link given here. 14. Defence and military – Amid rising tension in the Korean peninsula and concerns about China’s assertiveness in the South China Sea region, China launched its first domestically built aircraft carrier which will join the only existing aircraft carrier (Liaoning) purchased by China second-hand from Ukraine. The new aircraft carrier is likely to enter the services by 2020. It is classified Type 001A. India is yet to build its own aircraft carrier, and the IOR is all set to witness huge rivalry between the two Asian giants. Read more on China’s geopolitical ambitions, through the links given here and here. 15. Terrorism – A little after the dastardly Naxal attack in Sukma in Chhattisgarh, in which 26 CRPF personnel lost their lives, the Centre has decided to review its strategy and retaliate more firmly and resolutely to eliminate the Naxal menace. Home Minister Rajnath Singh said that the sacrifice of the CRPF jawans would not go in vain. The Naxals are seeking to destabilise development in the state and using tribals as fodder and human shields. Do study our Bodhi Saar special on Naxalism for detailed insights – here. 16. Constitution and law – The Centre has directed state governments not to leak Aadhar and personal details on their official portals and review the websites of their departments. The Central directive further said that such type of leaks would attract imprisonment up to three years. It may be noted that such type of data leaks were recently observed in Jharkhand. Govt. departments and officials seem blissfully ignorant or unprepared for the massive impact that data leakage can have. Read useful analyses and material on Aadhar using link given here. 17. Indian politics – AIADMK (Amma) leader TTV Dinakaran was arrested after four days of questioning by the Delhi police on charges of attempting to bribe an Election Commission official for retaining the party’s symbol of ‘two-leaves’ for his faction. This is one of the most brazen displays of corruption and bribery in high places in India. Read on Bodhi Booster about changing trends in Indian politics here, and State of Indian economy and politics here. 18. Indian economy – NITI Aayog, the government’s think-tank, has strongly backed taxing of agricultural income beyond a certain threshold and removal of exemptions on personal income tax as a part of the strategy to expand the tax base and prevent tax evasion. A group within the think-tank is of the opinion that the blanket relief on agricultural income was being misused by many non-farmers. Do go through our Bodhi Saar special on NITI Aayog for detailed insights. The Government and NITI Aayog soon distanced themselves from Debroy’s comments, and rejected them! J Read our Bodhi Saar special on NITI Aayog on using links given here, and here. 19. Goods and Service Tax (GST) – The government said that there would be two slabs for services under GST. Revenue Secretary Hasmukh Adhia said that services like transport, where fuel was a major component, could have a lower levy. Currently, on several services, only a part of the fee is treated as service. Apart from being a service, transportation is a key service for the economy and a steep rise in the levy will raise transportation costs for the economy. 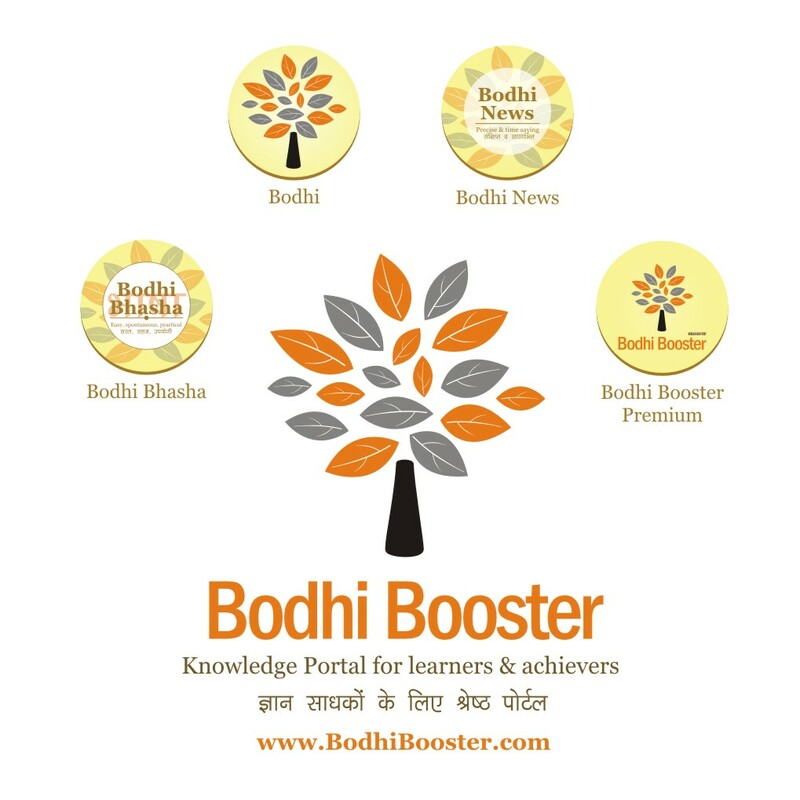 Read all about GST on Bodhi Booster here! 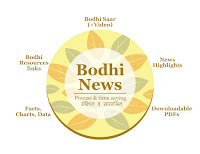 Bodhi News: Bodhi News & Analysis - German economic success | China's second Aircraft Carrier | Gwadar story - 28 Apr. We learn about the German economic miracle, China's second aircraft carrier and the impact of Gwadar and CPEC on India and the world.